MICHAEL A. VENTRELLA: I’m pleased to be interviewing author Mark Arnold today. Mark is a comic book and animation historian, and has had many articles published in various publications. He has a BA in Broadcast Communication Arts from San Francisco State and has published “The Harveyville Fun Times!” since 1990. His books include IF YOU’RE CRACKED, YOU’RE HAPPY: THE STORY OF CRACKED MAGAZINE, THE BEST OF THE HARVEYVILLE FUN TIMES, MARK ARNOLD PICKS ON THE BEATLES, and CREATED AND PRODUCED BY TOTAL TELEVISION PRODUCTIONS. 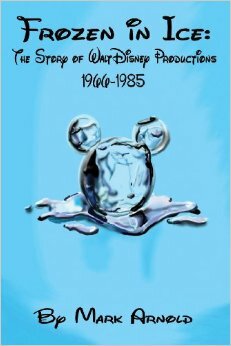 His most recent is FROZEN IN ICE; THE STORY OF WALT DISNEY PRODUCTIONS 1966 – 1985. 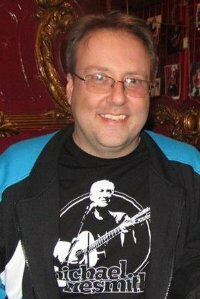 He has also produced and recorded DVD commentaries for Shout! Factory and has helped the San Francisco Cartoon Art Museum with various art shows. Mark, how did you first get involved in writing? MARK ARNOLD: I always liked writing since I was very young. I learned how to read and write probably around age four. I was plopped down in front of “Sesame Street” the day it debuted at age 2½ and by the time I entered pre-school I know I could read and probably write. VENTRELLA: What sparked your interest in comics? ARNOLD: Comic books were always around the house. I always enjoyed the pictures and liked them more once I knew how to read them. I also always had an interest in animated cartoons and movies and everything kind of just blossomed from there. VENTRELLA: There are lots of comic book historians dealing with superhero comics (which I, admittedly, never got into) but fewer dealing with the humorous comics (which I read a lot of). Why do you think that is? ARNOLD: I don’t know. I guess others identify with superheroes or aspire to be them. I always liked superheroes to a point, but always wanted a little humor behind them like on the “Batman” TV show with Adam West. I always wanted to laugh. I started off with Harvey Comics and other funny animal books and then graduated to Archie Comics and then superheroes. I shouldn’t say graduated actually, because I never stopped reading the Harveys and the Archies, I just added to my reading. Over time, as superheroes got more realistic, I found them to be more boring and eventually I stopped reading them, but I still admire the DC comics from the Golden Age and the Marvel comics from the Silver Age. 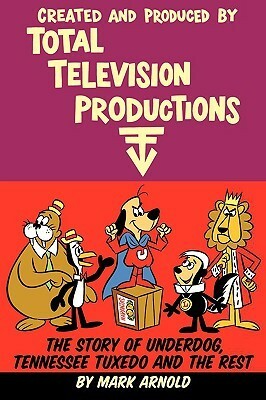 I’m even disinterested in the live-action movies they make these days, but I eventually see them just to keep up, but my favorite comic book stuff was and is humor comics, especially those done by Harvey and Archie and Gold Key and humor magazines like Mad and Cracked, etc. VENTRELLA: What was your first book? 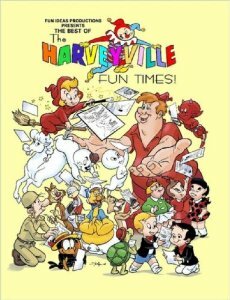 ARNOLD: My first book was THE BEST OF THE HARVEYVILLE FUN TIMES! which featured reprints from my long-running Harvey Comics fanzine (1990-2011). It was self-published as was the fanzine and was my attempt to see if I could actually publish a book. VENTRELLA: How did you arrange the publishing? ARNOLD: I went to the APE in 2005 and bought a book from someone that said it was published by Lulu. I had heard about Lulu, but what I didn’t know is that the books they publish look and feel like real books and have bar codes and ISBN numbers and everything. I published my first book through Lulu in 2006. Prior to that, I always dreamed about publishing a book, but felt that I didn’t have the connections or the funds to do it. Lulu.com made it easy, because all you really need is around $150 and Lulu prints what you need on demand and it gets listed on all the major book sites such as Amazon and Barnes & Noble and you get an ISBN bar code. It doesn’t get into bookstores this way, but that’s no big deal as more and more people are buying books online anyway than in stores, but I did get it distributed through Diamond, who is the major distributor to comic book stores. It sold quite well, actually. VENTRELLA: Tell us about BearManor Media. ARNOLD: BearManor Media is also print on demand as is Lulu.com, but the difference is, you don’t have to format the book and do all the production work yourself. They do it for you. Your commission for each book sold is less than if you self-publish, but I feel that it is worth it, in order to not have to do all that stuff and stick with the creative end such as writing. BearManor’s focus is on pop culture books, so if you want to write a novel, they are not the publisher for you, but there are others that do focus on fiction and they can help those wanting to get published. Check Google to find out who. VENTRELLA: You’ve also written the Cracked magazine history. Did you get assistance with that from Cracked? Did anyone from the magazine object? ARNOLD: I went to the current owners of Cracked.com, the website that is owned by Demand Media. They really didn’t care that I was doing a history of Cracked magazine. All they were interested in was whether I was reprinting anything from the website, which I wasn’t. In fact, I told them I wasn’t interested in discussing the website at all except for the fact that it needed to be mentioned in the history to say what happened to Cracked after it ceased publishing as a print magazine. I got no assistance from the current owners and did not interview any of them. I got the most assistance from Mort Todd, who was editor of Cracked magazine from 1985-1990 and he helped design and layout the book cover using new artwork from the great John Severin. VENTRELLA: What do you think of their current web page, which is not at like the magazine? ARNOLD: I actually do like the website and the two books that they have published with material from it, but it really isn’t Cracked. The funny thing is that the current owners paid a big amount (I think it was in the millions) and basically ended up with a name, since all the films from the old magazines had to be destroyed after anthrax was sent to the National Enquirer offices in Boca Raton, Florida where the films of the old Cracked magazine issues just happened to be housed. This was the same anthrax that hit the world news shortly after 9/11 and at least one person died as a result. 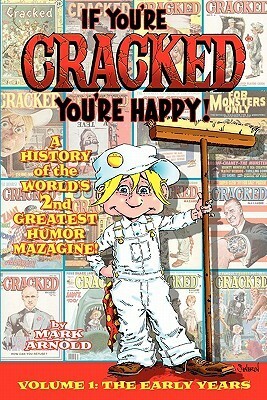 If someone was to do a “Best of Cracked” now, they would have to get permission from Demand Media to do so, and they would also have to scan all the old issues or the original artwork in order to do it. I am trying to work on this as we speak. VENTRELLA: Your latest book, FROZEN IN ICE, is about the Disney films in one of their darkest and least successful eras. What made you decide to look at those years? ARNOLD: Those were the years that I grew up and I didn’t have problems with the films as others have. I actually enjoyed Disney during the 1970s, especially the gimmick films which I dubbed the “dopey Disney comedies”, where they took some premise like invisibility or the goose that laid golden eggs and ran with it. I didn’t necessarily think that the Disney of the 1950s or 1960s was that much different. The animation was different with the Xeroxing, but Disney had this nice habit of reissuing all of their old product, so it seemed like these old cartoons like “Snow White” and “Pinocchio” were fresh and new to me. Also, many books about Disney tended to say something like: “And then Walt Disney died and after a few years, Michael Eisner took over and revitalized the company.” I wanted to cover the years that always seemed to be glossed over by most Disney history books. VENTRELLA: For those of us of a certain age, this book brings back many memories, since these were always kid-friendly films my Mom could safely take me to. I was surprised at how many were familiar. Did you rewatch all of these films to write this? ARNOLD: Yes I did. There are approximately 75 new theatrical Disney films that they released during the time period covered and even in this day of mass marketed DVDs, it’s amazing that there are a few of them that just are not on home video in any form. I was still able to secure copies, but it took some doing. VENTRELLA: Which ones stick out as particularly better or worse than you thought they’d be? ARNOLD: When I was a kid, I was never a fan of the nature films. I felt like I was in school. As an adult rewatching them, I was amazed at how well done some of them are like “Rascal” (1969) or “Run, Cougar, Run” (1972). Others were as bad as I expected like “Scandalous John” (1971) and others like “Smith!” (1969) were actually surprisingly good. I never saw the last two as a kid. One example that I particularly like was “The Littlest Horse Thieves” which was released in the US in 1976. It is a surprisingly good film and grossly overlooked, then as now. VENTRELLA: Your analysis of the films is pretty straightforward, although you do give personal comments at times. Why did you decide not to be more subjective? ARNOLD: I was following in the format of Leonard Maltin’s THE DISNEY FILMS, but I put my own spin on it. I didn’t want to be too dry but I did follow Maltin’s format of film synopsis and commentary. Some have complained that there might be too much synopses in the book, but it is a reference book, not a straight narrative and I wanted people to use it in tandem with Maltin’s work which ends its detailed coverage of films in 1967. VENTRELLA: Was the main problem with Disney at the time the “What Would Walt Do?” mentality? Did it keep them from progressing? ARNOLD: Initially, the “What would Walt do?” mentality worked well for them. Walt had left such a wealth of unfinished ideas and had such a talented staff that everything ran kind of like a well-oiled machine running on auto pilot for the first few years after his death. The company was very profitable during these years (1967-1975), but by the end of that period came the end of Walt’s ideas. Then the big movie release of “Star Wars” in 1977 and that really did them in. Movies for kids had started to change and improve with higher production values, but Disney was slow to change with it. By the time they did, Walt Disney Productions was in serious trouble. Their official answer in 1979, “The Black Hole” was somewhat disappointing, even though the film has its moments and its fans. VENTRELLA: You also discuss Disney’s other projects during this time, although not in the great detail in which you discuss the films. Why do you think that is important? ARNOLD: The films were what made Walt Disney Productions. I do mention what happened at the Disney parks and TV shows, comic books and record albums. I don’t go into a lot of detail because there are other books that go into each of these areas in greater detail and those are mentioned in my bibliography if people want to research this period further. VENTRELLA: I founded and edited a magazine called Animato! during that period. We were thrilled when “The Black Cauldron” came out, mostly because back then we’d be excited if any animated feature was released since they were so rare. Why do you think Disney ignores that film now? Was it that bad? ARNOLD: I love Animato! and wished it still existed. I have every issue! Actually, I didn’t mention “The Black Cauldron” when you asked about films that I felt are better now than when I first saw them. It’s still not a great film, but I liked it a lot better when I viewed it back in 1985. I think that because there was such a long gap between Disney animated films back then, there was higher anticipation for each film, especially when it was a Disney cartoon and that one took an especially long time to get finished and released. Nowadays, it seems, there is a new CGI film released each week by any number of studios and unfortunately, they are all starting to look the same. It’s a group of animals or birds or cars or monsters or toys that have to overcome some obstacle and they are happy at the end. It used to be an individual on a quest. Now it’s all of these groups. It was James Bond. Now, it’s The Expendables. There are some good ones now, but unfortunately, a lot of bad ones and many of those are made by Disney. I think Disney doesn’t think too highly of “The Black Cauldron” because it’s not based on a classic fairy tale and it’s slightly bit gorier than other Disney films being the first PG-rated animated Disney film. Also, at the time and now, it was hard to market that film. There wasn’t a lot of merchandise, the characters didn’t walk around Disneyland and it was released during a time of transition and Michael Eisner really wanted to sweep it under the carpet and work on animated films that he was planning like “The Great Mouse Detective” rather than looking backwards. It’s taken Robert Iger to embrace the Disney past better with a newer Love Bug and Witch Mountain films. “The Black Cauldron” is still kind of lost in the shuffle, but so have latter day Disney films like “Brother Bear” and “Dinosaur”. VENTRELLA: You also wrote a book analyzing Beatles songs. What led you to do that, when there are so many Beatles books on the market now? ARNOLD: My book covered every Beatles song, group and solo, released and unreleased. With the era of illegal downloading and YouTube, it is now easier than ever to listen to unreleased Beatles songs. I felt that a guide was needed and that was sort of a vanity project for me. 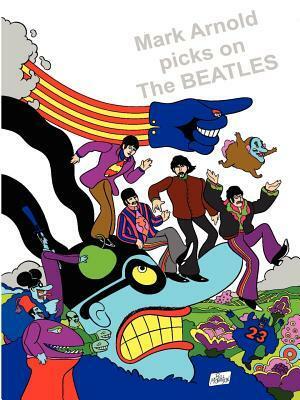 For MARK ARNOLD PICKS ON THE BEATLES, I self-published once again with Lulu and got a lot of my friends in the cartoon and animation fields to submit Beatles drawings like Bill Morrison and Patrick Owsley. It was a fun project to do because I love listening to the Beatles music so much. I know The Beatles keep releasing “new” product like “The BBC Sessions, Volume 2”, the songs off which I’ve owned on a bootleg for years, but for me, it’s old news. Ultimately, I have to confess, it has been my worst seller and I’ve concluded that people would rather listen to Beatles music that read about it. I don’t know how most of these other books fare. I’m sure some do well, but probably many do not and are releasing a Beatles book in hopes of making a quick buck. VENTRELLA: What do you offer in that Beatles book that is different from all the others? ARNOLD: As I said, it’s my own opinions about the songs and I add my own sense of humor. Most people dis or completely ignore Ringo, for example. I’ve called him in the book “the Yoko of The Beatles.” I also give a ratings systems that ranks from four Beatles down to one and the few songs that do rate a zero star is represented by Pete Best. It’s all in fun and I had a blast doing it. I also have an “intermission” in the middle of the book where I discuss the comic books on Paul’s Hammond organ stand as featured in “Help!” With the help of the Grand Comics Database and Jerry Beck and Lee Hester, I was able to determine which comics were on the easeL. I offered the article to “Beatlefan” and they turned it down, so I used it for my book. ARNOLD: Strangely, Beatles conventions on the West Coast are not very common. There’s finally going to be one on in Los Angeles in late 2014 after none for many, many years. I might do that one, or I might just attend it. I’ve never attended an East Coast show and certainly never have exhibited on the East Coast. I have been to New York a few times, most recently for my own Harvey Art Show at the MoCCA in 2009, which did have my Harvey book for sale. VENTRELLA: How do you promote your work? ARNOLD: Initially, I promoted my work when I started “The Harveyville Fun Times!” in 1990 by attending the San Diego Comic Convention and getting mentioned in the Overstreet “Comic Book Price Guide.” I’ve never had a ton of money for promotion, but I did take out ads in “Comic Buyer’s Guide” and other publications that no longer exist that resulted in a good subscriber base. When email and the Internet came along, I developed an email list and had a website very early on, like around 1995 or 1996 and promoted things that way. Later, I started a blog and still write on it to this day every so often. Currently, for my books, I have used Facebook as my prime way of promotion and I pay a guy named Jon Guerzon to help me promote things all around the Internet as I don’t have as much time as I used to in order to promote and write and do the other stuff that I do. I have a Facebook page for each of my books and my email signature promotes my books and I promote myself when I write for magazines like “Back Issue” and still have my email list. I also print up postcards through Next Day Flyers and distribute them through the mail and at shows. BearManor now does much better promotion than they used to and they also print up postcards and mail them out and take out print ads in various targeted magazines. VENTRELLA: Although I advise fiction writers on my blog to never self-publish, there is no stigma attached to non-fiction self-publishing (and I have done that myself with my gaming books). What advice do you have to writers about self-publishing (if any)? ARNOLD: If you want your book to be in a brick-and-mortar store, please be aware that if you do any print on demand publishers like BearManor or services like Lulu.com, that most bookstores will not carry your book. You will have to contact each bookstore or bookstore chain independently and they probably will ask you to pay a consignment fee for carrying your book, so it might not even be worth doing. In this day of Amazon, I find it almost unnecessary to be in a bookstore, but if you do have a book that you want to be distributed, Diamond will carry self-published books and distribute them to bookstores, but they have to sell a certain amount and Diamond has to approve the listing, which can be trickier with fiction than with non-fiction about a known quantity like Disney or The Beatles. Now, if you get involved with a larger publisher like say Random House, you will get in the bookstores, but now you have to face the problem of your book not selling and then being returned and then going out of print and the remaining stock sold as remainder stock at a loss. So, there are hurdles either way you go. VENTRELLA: Where do you see the future of publishing heading? ARNOLD: I think books will coexist as both print items and digital items. The important thing is if you have a passion for writing and want to get your work out there, things are easier now than they ever have been to get published or to publish yourself. It still helps to know people and also to learn so you know what you’re doing, but gone are the days where you had to pay a publisher to print 1000 copies of your book only to have them sit in your garage gathering dust. There’s no need to have stock anymore. You can even publish solely in an ebook format or online. It’s up to you. The harder part is making a lot of money at it. If that’s the only reason you are writing or publishing a book, you might as well stop now, because you will be very disappointed. The odds of success there are still the same unless you come up with a story about a boy learning to become a witch or teen vampires that fall in love with each other or anything about zombies.